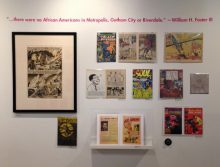 The Archives & Special Collections at the University of Connecticut will host the first traveling installment of the exhibition Our Comics, Ourselves co-curated by Jan Descartes and Monica McKelvey Johnson. The exhibition premiered at Interference Archive in January, and we’re really excited to see it move on to new locations. Our Comics, Ourselves features comics from the Interference Archive collection as well as private collections on loan. 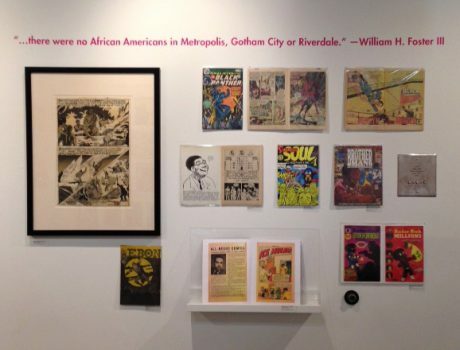 The exhibition includes comic books, graphic novels, DIY comics, and various comics paraphernalia primarily from the United States, 1945 to present. The works range from autobiographical to sheer fantasy, and explore feminism, abortion, racism, cultural identity, social activism, veterans of war, sexual abuse, immigration, public health, civil rights, gender and sexual identity, and more. UConn’s Graham Stinnett, Archivist for Human Rights and Alternative Press Collections, guest curated a portion of the digital supplement of the exhibition on tumblr featuring materials from the University of Connecticut’s Alternative Press Comix Collection earlier this year. The curated tumblr blog is part of an ongoing contributor driven narration of comic books, personal history and identity. The UConn Archives exhibition of Our Comics, Ourselves will run from June 14 – August 22, 2016 in the Thomas J. Dodd Research Center Gallery which is open to the public, Monday – Friday 8:30 – 5pm. We’re seeking venues for future stops! Contact info@interferencearchive.org if you’d like to host the Our Comics, Ourselves traveling exhibition.